6 Tips To Pin Images that get the most Engagement! Pinterest is more than just uploading an image; it’s about making an image come to life while it’s still. You have uploaded images on Pinterest. What next? You obviously want pins, repins and likes – and many of them. Find out about the types of images that evoke maximum user interest on Pinterest. Variety is the spice of life. In food, this variety is expressed by the number of dishes. In an image, it is expressed through the number of colors. Multiple colors in an image work because it provides variety to the eye. A research by Curalate has found that images that had several dominant and attractive colors got repined 3.25 time more that images that had only one dominant color! For instance, if you upload an image of a bracelet; the bracelet with multiple dominant colors (white, red, green, blue, yellow) will win more repins than the bracelet with a single dominant color (white and red). Further, the research has concluded that images embedded with colors like red, orange and brown get twice as many repins because these catch the eye before other colors. Thanks to the information overload on the web, our attention spans seem to have become shorter. Since hitting the back button demands only a single mouse click, users have little patience for boring or confusing content! So,you have to ensure that the subject in your image stands out. Avoid the same colors, textures on your subject and the objects in the background. Also, see that the placement of the subject is such that it isn’t hidden or superseded by other objects or lights. According to graphic design experts, more than 30% of white or blank space in the background doesn’t appeal to the human eye because it gives a message of lack of activity and energy. Images with less than 10 % blank or white backgrounds receive the maximum repins. To attract users to repin your image (composed of a subject), there is a need to have colors and objects in the background, which obviously don’t steal attention away from your subject. For instance, if the image is about a model sitting on a car, try incorporating greenery and the blue hues of the sky in the background to avoid having too much of blank space (atmosphere) or white space (white sky). Add a street lamp in the background, but not another model because that will take away attention from your subject.If you have already clicked your image and see a lot of white or blank space, you may use picmonkey.com to add or modify colors, textures, objects. This might be surprising for you, but a research by Curalate proved that brand images with bodies of models in angles that didnt show faces received 23 percent more repins. We need to keep in mind that Pinterest is a network of things, and not of people or places.The concept of ‘novelty being catchy’ comes in. We repeatedly see people with faces everyday, and repetition isn’t eye catching. But the moment we see an image having a faceless partial body, it surely does engage us. An image with a model cutting a slice of cheese with only her hands being a part of the image and not her entire body or face is more engaging than an image of a model walking the ramp in which her whole body and face are a part of the image. But, you need not go around cutting faces of people in all your images; cut in accordance to your context. You can have a faceless model if your subject is sliced cheese kept in the kitchen but you can’t have an image of a fashion show with a faceless model, unless it’s a fashion show of headless aliens. Images that show before and after crafts, skin improvement, and weight loss engage users. This is because such images spread the message that the end is always beautiful, and every person wants to have such an end in his life. The image imparts hope to the person viewing it, and again every person wants hope too in life. You see the image of a fancy couch. And now you want it. But there’s no information about its cost, brand, model number. This will disengage you from the image in a few minutes. 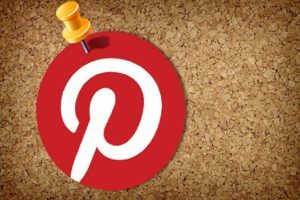 Pinterest Rich Pins makes the image more interesting as it helps you provide information through the image. It allows brands to take control of their images by adding useful information in the image about price, where to buy and similar details.